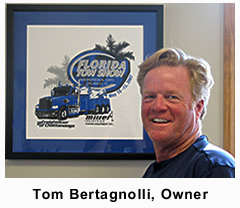 Tom Bertagnolli and his son Tommy are the owners of Double T Towing. They started the business March 1, 2002. 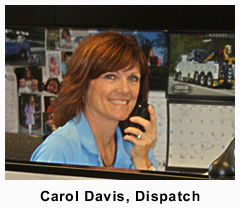 Tom’s sister, Carol Davis, and her daughter, Tracy handle the dispatching duties 24/7; while brother Don handles daily salvage operations and drives a two-car carrier. Former drivers Tim Stalbaum, Ed Dougherty, and Greg Garcia joined with Tom and his family members to begin the Double T journey handling Heavy Duty and Light Duty towing, respectively. Ricky Oliver and Karl Collette, two of the areas’ premier towers, joined with Tom in 2003. 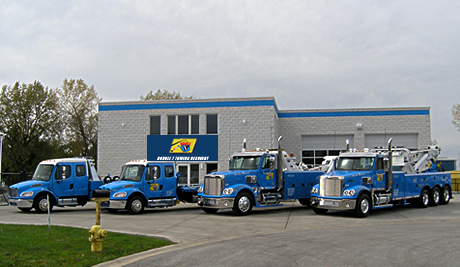 Tom was very fortunate that Art Davis’ Truck City of Gary (Freightliner dealership) provided a base of operation and breakdown tows for Double T in the early years of business operations. In November of 2005, Double T moved into their new facility in Griffith, Indiana near the intersection of I80/94 & Cline (Exit 5). Double T’s facility is a state-of-the-art 7000sq.ft. spilt-face block building, with heated floors, two-story office, paved & secured attached storage lot, and glass & panel bay doors(Bert’s Shell Station circa 1960). Double T handles a large volume of commercial, truck & engine dealer, police, and private tows each month; we would like to handle your towing needs as well. 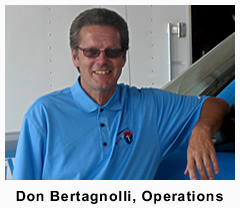 Tom, his staff and drivers together have a combined 90 years of Heavy Duty Towing & Recovery experience in Northwest Indiana and Chicago Metro Area. Our drivers attend towing and recovery seminars, trade shows, and hands-on recovery schools promoted by our State Association (ITWA), our National Association (TRAA), as well as manufacturers who’s wreckers we operate on a daily basis. 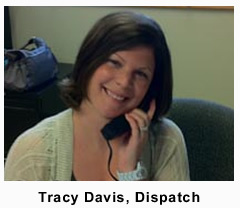 As a TRAA member our drivers are tested yearly and recognized as a “Nationally Certified” Operator/Tower.